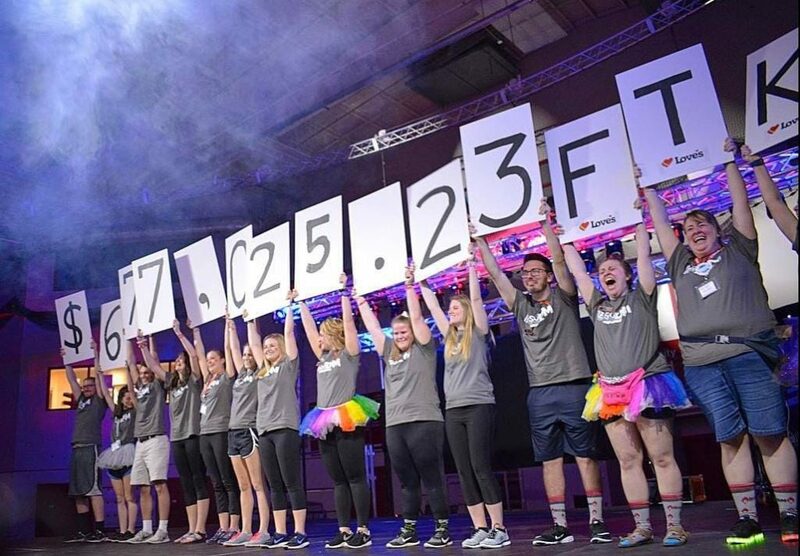 Ball State University Dance Marathon has been providing hope to local children at Riley Hospital for Children. 1393 participants joined throughout the day. Our dancers have a variety of activities to choose from! Of course there is the line dance, which everyone learns in segments, then performs the final dance together as one giant flash mob! In between learning the line dance, our participants were served three meals, engaged in stage games, jumped in the bouncy house, purchased exclusive merchandise, and enjoyed in-event fundraisers such as head shaving, makeovers, pie-in-the-face, and our brand new jail! Our Riley families remained at the heart of the event throughout the day. It takes an incredible amount of courage for each kid to share their story on stage, so there’s always plenty of cheering from the crowd. 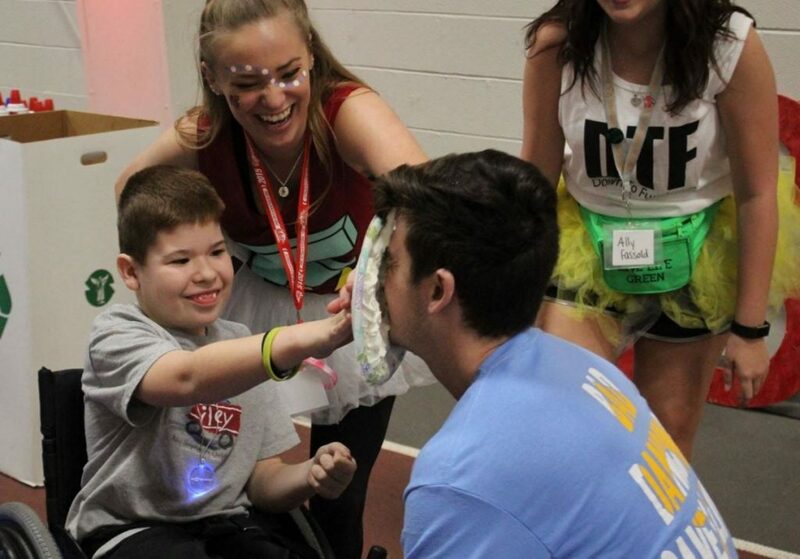 Whenever they weren’t on stage, our Riley families are showered with gifts and love from our participants. It wasn’t uncommon to see a group of fraternity brothers tossing a football with the boys, or to see the women’s volleyball team dancing with the girls! 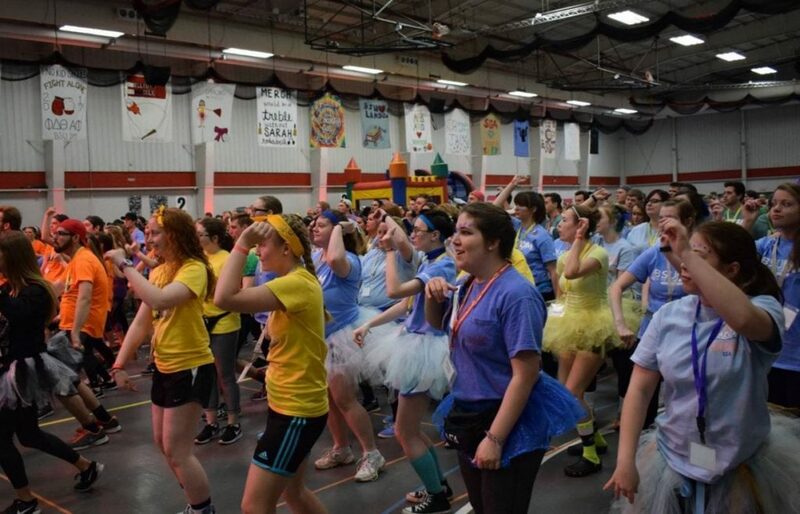 This year, Ball State University Dance Marathon celebrated its tenth year anniversary, which inspired plenty moments of reflection on the past and the ones who brought us to where we are; our alumni. Additionally, we focus on the dancers’ experience this year. In the past, our fundraising pushes have overshadowed enjoying the event, but we took a step back this year to re-evaluate our priorities and found that it’s best to keep the night enjoyable. Thank you Love’s Travel Stops & Country Stores for supporting the Ball State University Dance Marathon’s efforts, For The Kids!